In an average year, Apple holds three to four events. There's usually a spring event in March, the Worldwide Developers Conference in June, a September event that's focused on iPhone and Apple Watch, and sometimes an October event if there are iPads or Macs expected in the fall. In this guide, we're keeping track of all of the Apple events that are on the horizon and what we're expecting to see at each one, so make sure to check back in regularly. 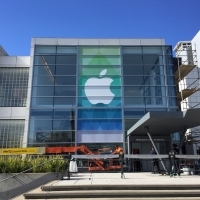 Apple's annual Worldwide Developers Conference takes place in June, and this year, it will kick off on June 3. The event starts with a keynote where Apple will unveil new versions of iOS, macOS, tvOS, and watchOS. We've already heard a few details on what to expect in iOS 13 and macOS 10.15, with the info we know below. Dark mode will be the key feature of iOS 13, and there will be a redesigned Home screen for iPhone and iPad. The files app is getting updated, and we'll see some iPad-specific features like tabs for apps and a multitasking feature for using two windows of the same app side by side. macOS 10.15 will expand cross-platform app functionality to developers, allowing apps made for the iPad to be easily ported over to macOS. macOS 10.15 won't support 32-bit apps, so expect some of your older apps that haven't been updated in a while to quit working. There are sometimes hardware announcements at WWDC, and there has been a rumor suggesting Apple is considering showing off the high-end high-throughput modular Mac Pro that's in the works at the event, but it's not yet clear if that will happen. Apple holds an event every September that's used to unveil new iPhones and Apple Watch models. This year, we're expecting three iPhones, much like the 2018 lineup. Rumors suggest there will be two OLED models two OLED models (XS and XS Max successors) and one LED model (XR successor), with no significant design changes, though there could be a new frosted glass back and a smaller notch, but rumors are mixed on this last point. The iPhone XS Max successor will feature a new triple-lens camera that could offer ultra-wide angle shots for the first time, while the other iPhones will use dual-lens camera systems. We've heard a few mixed rumors indicating Apple might use USB-C for the new iPhones, but it's ultimately looking like the company plans to stick with Lightning. We can also expect an A13 chip along with faster LTE and WiFi, bigger batteries, and a nifty new bilateral wireless charging feature that will let the 2019 iPhones wirelessly charge other devices (like the AirPods with wireless charging case rumored to be in the works). We don't know what Apple is planning to call its 2019 iPhone lineup yet given that there's no obvious followup to iPhone XS, XS Max, and XR, so most rumors refer to these devices as the "2019 iPhones" at the current time. That said, iPhone XI, iPhone 11, and iPhone XT are all names we've heard bandied about. Rumors suggest the Apple Watch Series 5 will feature a new ceramic casing design, suggesting a return of the Apple Watch Edition. Aside from that, we don't know a lot about what to expect from the Apple Watch in 2019, but it's still early in the year. New health features have also been rumored for years, such as non-invasive blood glucose monitoring. A micro-LED display is a possibility, as are solid state buttons. Apple has other new products in the works, such as a high-end modular Mac Pro, refreshed iPad Pro models, a 6K Apple Display, and more, but we don't know when these might be announced. 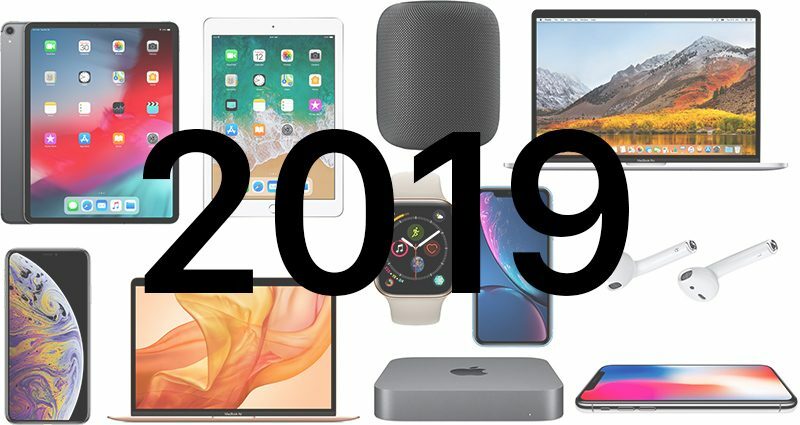 These upcoming products will be added to this guide as we learn more about Apple's events planned throughout the year, but you can find more details in our upcoming Apple products guide for 2019. 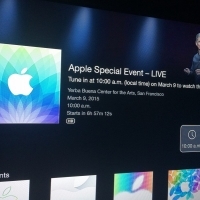 With a few hours left to go before Apple's big "Spring Forward" media event, the company has once again unlocked the "Apple Events" channel on the Apple TV in preparation for the big event. Largely expected to be the central focus later today is the Apple Watch, given the Daylight Saving Time reference in the title of the event and the small amount of pricing and launch-related information known about the device so close to its rumored release date of April. Image via MacStories Other outlying possibilities include small refreshes of the 11" and 13" MacBook Air and the 13" Retina MacBook Pro. 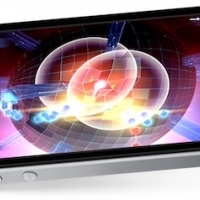 Less likely to be seen are the long-rumored 12" Retina MacBook Air, and even the recently-rumored iPad mini 4. Fans wanting to watch the event live can also use Apple's official website, the caveat as usual being users will need to be running Safari to stream the event. Apple points out that most any recent version of the software will run the stream, though those with older software may have trouble. Live streaming video requires Safari 5.1.10 or later on OS X v10.6.8 or later; Safari on iOS 6.0 or later. Streaming via Apple TV requires second- or third-generation Apple TV with software 6.2 or later. 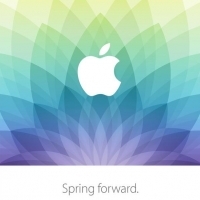 Apple's "Spring Forward" event begins at 10:00 AM Pacific Time. MacRumors will be covering all aspects of the event, including a live blog and live tweets which can be followed on the MacRumors Live Twitter page. 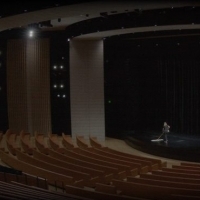 Apple today sent out invites for a media event that will be held on Monday, March 9 at the Yerba Buena Center for the Arts in San Francisco, reports The Loop. 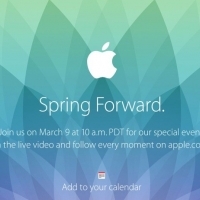 As with most Apple media events, it will begin at 10:00 a.m. Pacific Time. The event's "Spring Forward" tagline is decidedly time related and March 9 falls one day after the start of Daylight Saving Time in the United States, suggesting the Apple Watch may be the focal point. 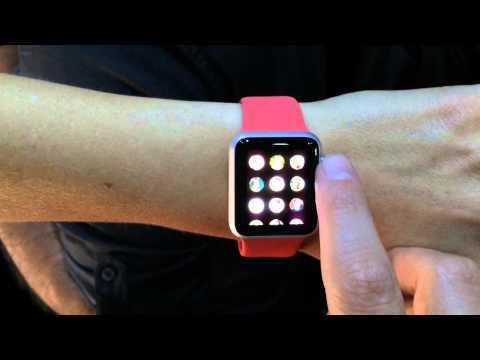 There are still many details on the Apple Watch that Apple has kept under wraps, including full information on pricing, battery life, and accessory options, all of which may be revealed at the event ahead of the Apple Watch's April launch. The event could also see the launch of other products, such as the rumored 12-inch Retina MacBook Air or refreshed 11 and 13-inch MacBook Airs, which are due for an update.